A super rice breed called chujing No 28, has produced a harvest of 14.3 metric tons a hectare at a demonstration base in the Chuxiong Yi autonomous prefecture in Southwest China's Yunnan province. To ensure the accuracy of the yield amount, a team of agricultural experts supervised the harvest on Monday, randomly selecting three plots of the 6.7-hectare planting field. So far, China has approved 96 varieties of new super rice strains, with planting areas of 7.4 million hectares, or nearly 25 per cent of the country's rice fields, according to the Ministry of Agriculture. 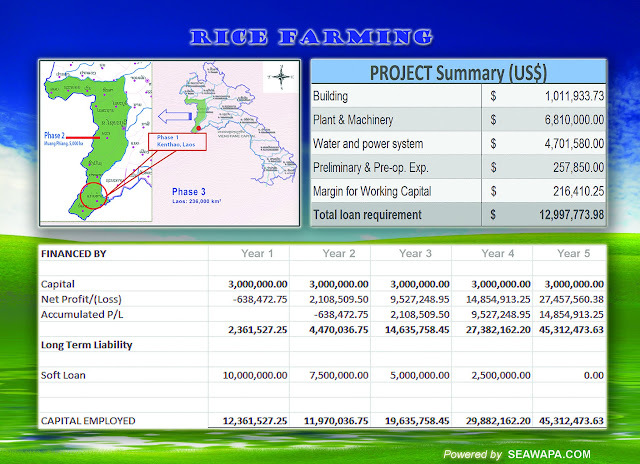 The country plans to reach average yields of nearly 7 tons of rice a hectare by 2020, from 6.57 tons a hectare now, to ensure adequate food supply for its rising population, the ministry said. China aims to develop more than 30 new super rice strains by 2015, according to sources from the Ministry of Agriculture of China. Much of the harvest is grown by 'conventional' (i.e. 'chemical') methods in order to increase the yield and their apparent quality. However growing rice organically is four times more energy efficient than using chemicals and results in a much reduced cost of inputs. 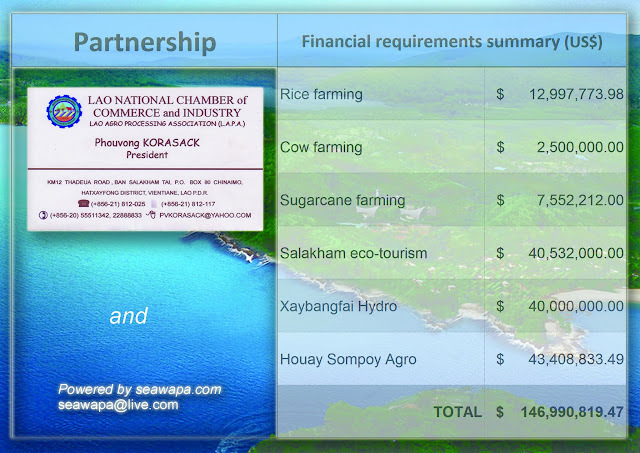 For our proposed project, we choose to plant Thai Jasmine Rice using organically using fertilizers but less labor. We shall introduce our ‘parachute system’ of planting which uses less seedlings but more yield. Consumers perceive organic produce as safer and healthier, and expect it to have greater nutritional value. 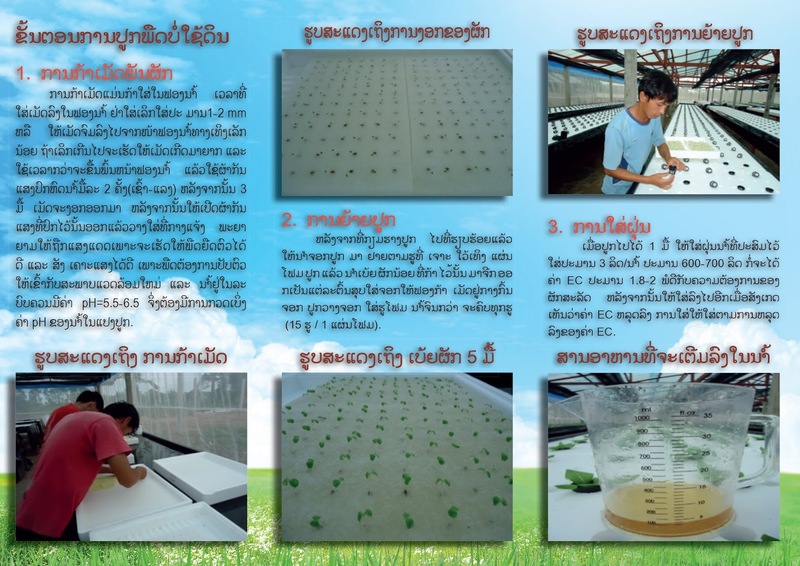 With respect to rice, agricultural researchers find some discernible advantages for farmers and the environment from growing rice organically. Comparing other qualities of organic and conventionally grown rice, however, scientists find fewer differences than purchasers might expect. The Natural Resources Defense Council defined organic food as produce manufactured with integrated ecological processes that exclude pesticides, genetically modified organisms, artificial chemicals, sewage sludge and irradiation. However, Mayo Clinic nutritionists, Jennifer Nelson and Katherine Zeratsky, highlighted a study reviewing over 150 articles spanning over 50 years of scientific research. The study suggests little nutritional differences exist between conventional and organic food types. HelpGuide.org, the expert health resource website, stated that organic foods contain higher levels of antioxidants than conventionally produced foods, making them healthier. Also, symptoms associated with food allergies reduce upon switching to organic foods. The toxic residue from artificial chemicals and pesticides used in conventional agriculture are particularly hazardous to the health of expectant mothers and young children, possibly leading to behavioral disorders, motor dysfunction and delays in development. Additionally, accumulated build up or "body burden" of toxins can occur, causing birth defects, a weakened immune system and headaches. 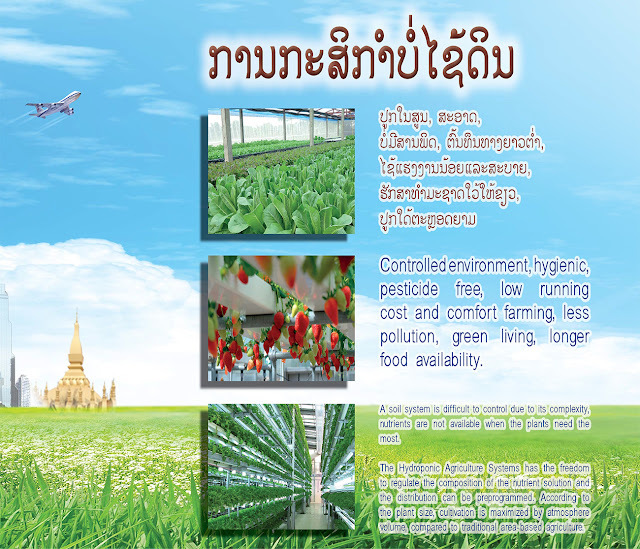 Organic farming and agricultural practices also lessen environmental toxins. According to a 2006 study by the U.S. Department of Agriculture's Research Service, organically grown rice contains less protein than rice conventionally grown with inorganic fertilizers, but that starch and mineral contents do not differ. In a 2007 study published in the "Journal of Agronomy for Sustainable Development," however, researchers found that organic rice contains more iron and less copper than conventional rice. Rice is rich in complex carbohydrates, making it a valuable source of energy. It's gluten free, low in sodium, sugar and fat; and contains zero cholesterol. Resistant starch, the dietary fiber contained in rice, improves intestinal health by encouraging the growth of good bacteria, while promoting regular bowel movements to cleanse your digestive tract. Rice is high in vitamin B1, vitamin D, niacin and the minerals calcium and iron, essential nutrients that support the health of your bones and the cardiovascular, muscular, immune and nervous systems. Rice can help regulate your blood sugar levels and may help prevent the development of hypertension. Researchers at the Dale Bumpers National Rice Research Center evaluated 20 different rice cultivars to understand the effect of organic agriculture on rice flavor and texture, and in an Experiment Station Bulletin published in 2009, found no difference in the taste or aroma of organic versus conventionally grown rice. Organic rice did appear to be whiter and softer when cooked than conventional rice. In a 2004 study in the "Journal of Sustainable Agriculture," scientists found that using organic methods improved the quality of soil. 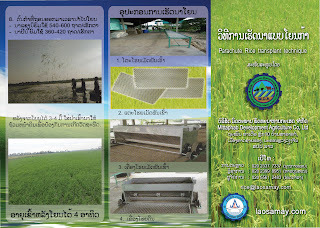 Improved soil quality, defined as looser, deeper mud, made it easier to prepare paddies and control weeds. The researchers attributed the improvement to the higher levels of soil organic matter in organically managed rice paddies, as a result of farming practices such as crop residue recycling and application of animal manure. In studies of rice farming in the Philippines, Teodoro C. Mendoza found organic farming requires only 1/3 the cash capital needed for conventional rice production, but necessitates more manual labor in the form of weeding, spreading straw and applying manure and compost and controlling snails by hand-picking. 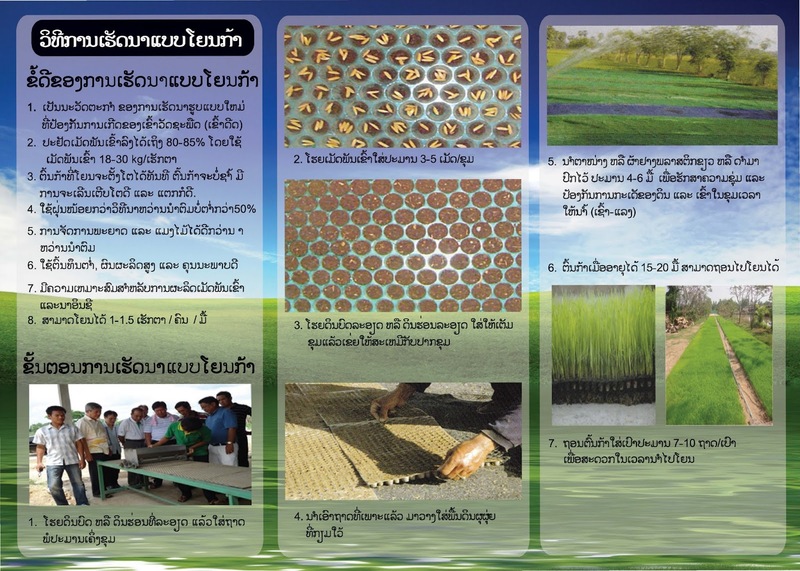 Growing rice organically is four times more energy efficient than the conventional method. As a result of the lower input and energy costs, organic rice farmers in the Philippines earn $7 per $1 cash expense, while conventional farmers earn only $2 per $1 of expense. For our project, by applying our organic fertilizer, the labor needed is only for weeding. There is no necessity to apply manure or compost and spreading straw. Organic fertilizer is applied right after ploughing to ensure that nutrients are evenly spread throughout the field. Organic fertilizers minimize weed from growing. Weeds will only grow near the dykes which will make it easy for laborers. Although scientific research does not support the idea of organic foods being nutritionally superior, the lack of chemicals and pesticides used in organic production and agriculture not only helps protect the environment but may also aid in preserving health. 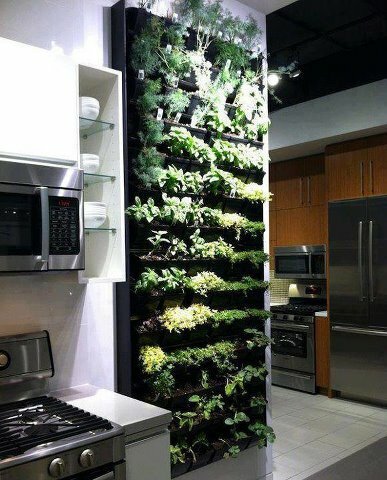 Multi-floor Hydroponic where lack of space is eliminated, only good physical and intellectual intention is missing to solve food crisis, lots of talkers is part of the problem, not the solution. If you've ever placed a plant clipping into a glass of water in the hopes that it will develop roots, you've practiced in a form of hydroponics. 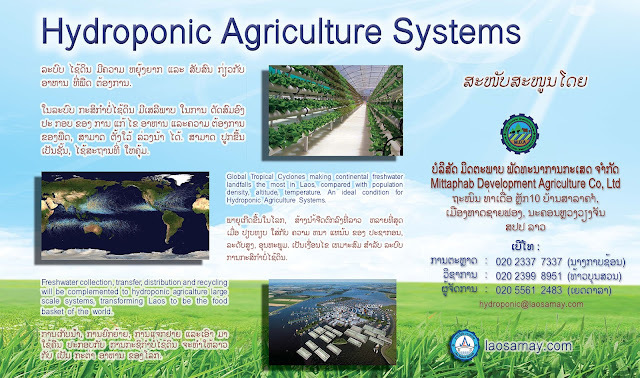 Hydroponics is a branch of agriculture where plants are grown without the use of soil. The nutrients that the plants normally derive from the soil are simply dissolved into water instead, and depending on the type of hydroponic system used, the plant's roots are suspended in, flooded with or misted with the nutrient solution so that the plant can derive the elements it needs for growth. The term hydroponics originates from the ancient Greek "hydros," meaning water, and "ponos," meaning work. It can sometimes be mistakenly referred to as aquaculture, or aquiculture, but these terms are really more appropriately used for other branches of science that have nothing to do with gardening. 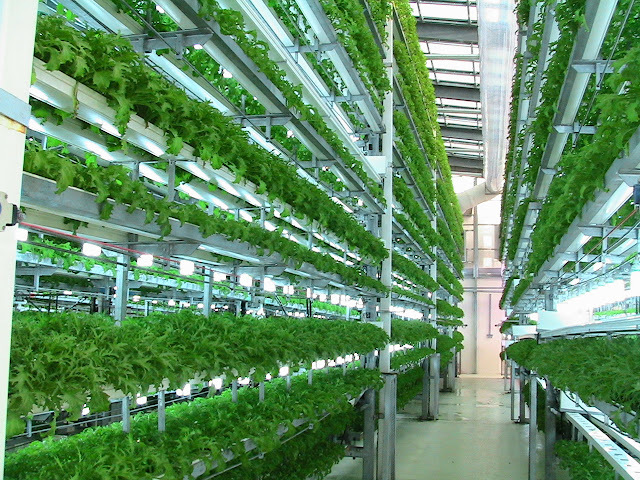 ­­As the population of our planet soars and arable land available for crop production declines, hydroponics will offer us a lifeline of sorts and allow us to produce crops in greenhouses or in multilevel buildings dedicated to agriculture. Already, where the cost of land is at a premium, crops are being produced underground, on rooftops and in greenhouses using hydroponic methods. 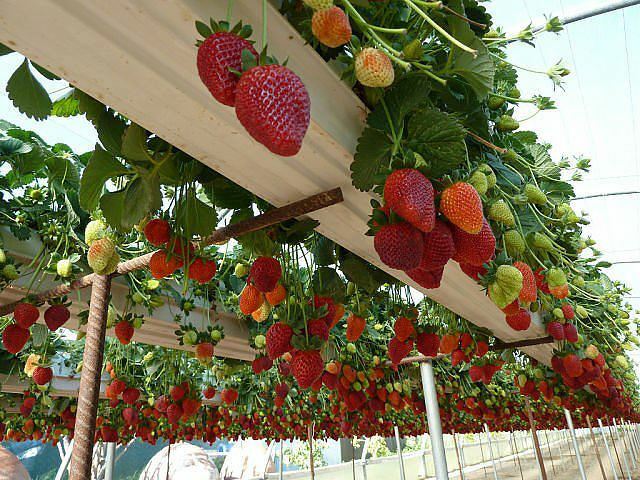 Strawberries are simple to grow, require minimal space and may be maintained with few chemicals. The plants must be open to sunlight for most of the day and are sensitive to frost. In the soil, 25 transplants will form a matted row within a year. This row is capable of producing 50 pounds of berries. You can produce berries all year round in tropical areas. 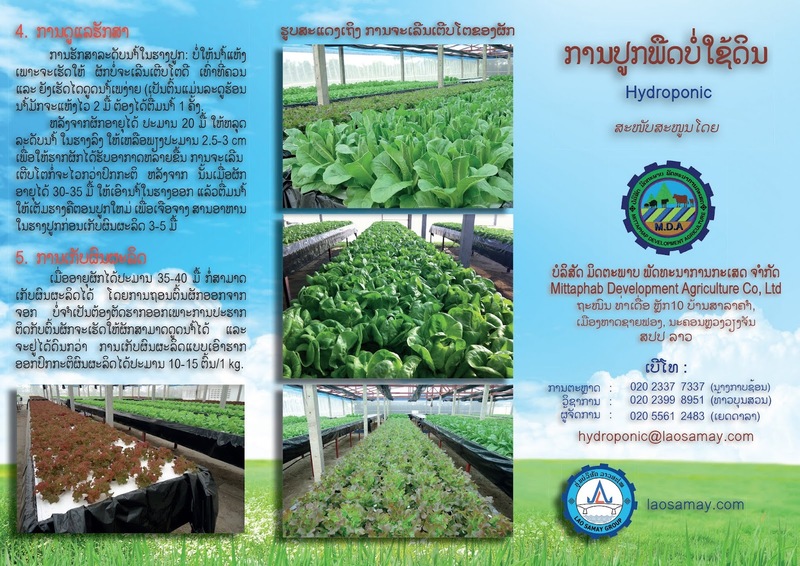 Hydroponics provides one method of growing strawberries this way, ideally next to sugar factory to produce high volume jams and other ready to eat products. Pull the lid off of a plastic under-bed storage tub. Cut a polystyrene cup in half and place the top half of the cup against the lid of the plastic container with the smaller end facing downward. Trace around the cup's end. Repeat this multiple times across the lid of the container. Each place that you trace the cup will be a location that you cut out of the lid. Later you will grow a strawberry in each hole that you cut out. Cut each traced hole out of the lid with a utility knife. Score around the marker line with the knife multiple times until the plastic is cut in two. Cut three smaller holes along the side of the lid through which you can pass air tubing. Place one of each of the smaller holes at each end and one in the center of the lid. Place 3 air stones in the bottom of the container. Cut three 1 yard pieces of tubing from the roll of air tubing. Connect each length of tubing to an air stone. Pass each piece of tubing through the smaller hole in the lid of the container. Place the lid of the container onto the container. Mix liquid hydroponic nutrients with water according to the package directions. The mixing instructions will vary among brands. Fill the container to within an inch of the lid with liquid hydroponic nutrient solution. Preforate the bottom of each polystyrene cup with the tip of your knife so that the nutrients can flow into and out of the cup easily. The holes should be less than 1/4 inch in diameter. Fill each polystyrene cup with vermiculite. Place each cup into a hole in the lid of the container. Hollow out a planting hole in each cup and place the root ball of a strawberry plant into the hole. Cover the roots with vermiculite. Connect the end of each air tube to a three-way air tube splitter. Connect the other end of the splitter to a fish tank air pump via another piece of tubing. Plug in the air pump to activate it. The air pump will send air into the bubbler, which will oxygenate the water. 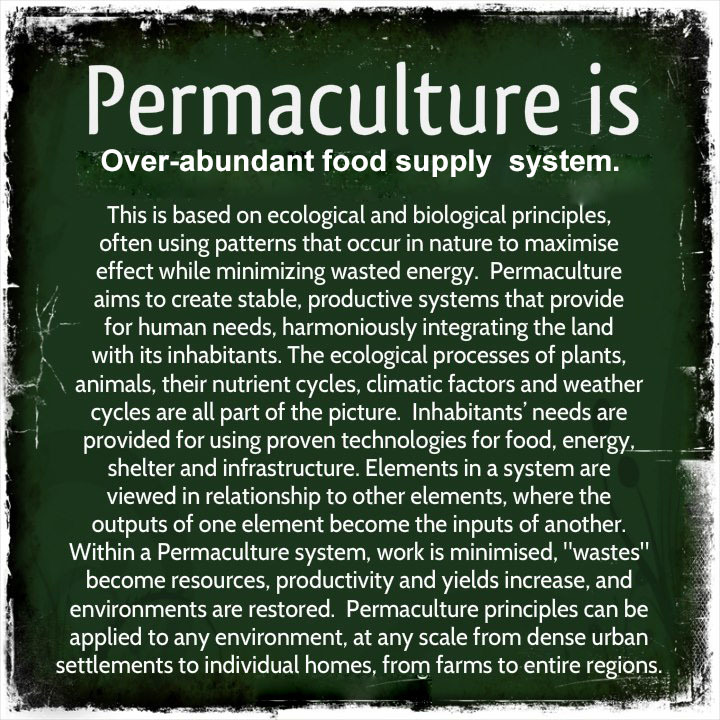 Permaculture, over-abundant food supply system.